Depending on how deeply entrenched you are in the Disney Parks fandom you may not know about Dapper Day. So here’s the deal. There are several days during the year that big events happen at Disney Parks but they aren’t official Disney events. Dapper Day is one of the biggest of these. It’s become a huge event that happens at several Disney Parks around the world. The organizers work with Disney in the planning of the event which means Disney is aware of it and doesn’t mind them. For Walt Disney World they happen twice a year, Spring and Fall. Our Fall event is this weekend. Saturday Nov. 18th it’ll be at Magic Kingdom and Sunday Nov. 19th at Epcot. So what does it mean to dress Dapper? According to the official website, dressing “Dapper” means wearing sophisticated fashions from vintage classics to chic, contemporary looks. Basically it’s people dressing up and wearing vintage, retro inspired clothes to the parks. It reminds me of the pictures of Disneyland from the 1950s and 60’s. Where the ladies all have dresses and pearls, the men are dressed up in suits, and everyone looked so sharp. Check out this old photo. Walt is riding Small World the day it opened in 1966. Look at the kids even. I love the idea of going back to the time when people looked like this, don’t you? Even if it is just for a day. If this sounds appealing to you then you’d love visiting Disney World during Dapper Day weekend. Now obviously, not everyone is dressed up. So don’t feel like you have to. But there is a huge number that are, and it’s fun to walk around and see them all. It becomes more about appreciating the outfits, and taking photos and enjoying the ambiance of the park. It really brings a different feel to the park day. 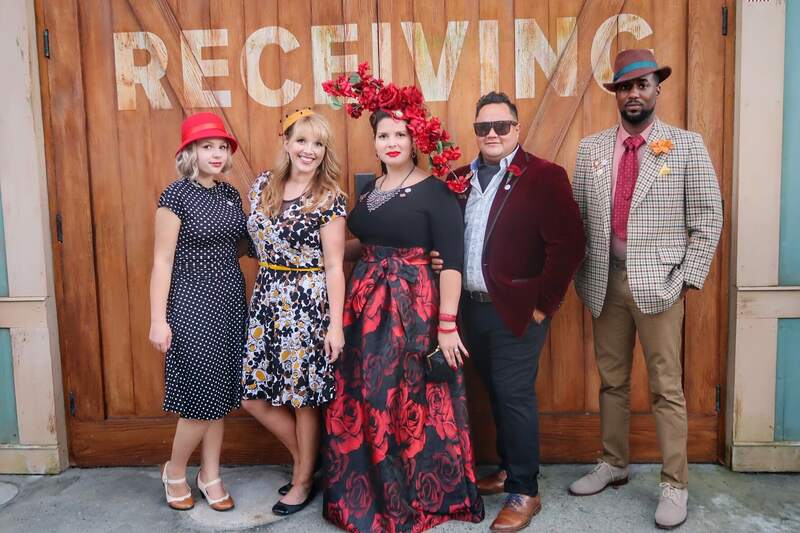 If you’re thinking of going to one of the Dapper day weekends, then the best idea is to sign up for their official mail list on their website. They will update you when events are planned. They also get some really good hotel discounts for their events. I know people who plan their trips around Dapper Day to be able to take advantage of their hotel discount rates. This goes for Disney World, Disneyland, and Disneyland Paris. So it’s worth checking out if you’re interested. Fall Dapper Day was at Magic Kingdom on Saturday November 18th and here’s some of my favorite looks I saw at the park that day.